Having calculated how much money is needed to launch the barbers, it is time to work out where the new business finance will come from. The type of funding will depend on the amount needed and what it will be used for. Some people will use their own savings or personal borrowings as barbers business funding. This may be the only option for those unable to secure a new business loan from a bank or capture venture capital from outside investors. In fact, it is usually very difficult to attract additional funding unless the owner has backed the business with some of their own money. Use savings or raise funds by remortgaging, getting an unsecured loan, borrowing on credit cards, selling possessions or borrowing from friends and family, but think carefully before borrowing to finance the business and always match the financing to what the business needs. Using credit cards for long-term, new business finance can be expensive and loans can be inflexible, resulting in interest being paid up over many years, so do not over-stretch personal finances. Borrowing too much can mean there is not enough money left to cover living costs while the business gets going, so remember to leave a contingency fund in case extra money is needed to get through a difficult period. Self-financing the business gives far more control, but if the business fails it could put personal possessions at risk and the family home under threat of repossession. Friends and family may be willing to help out with new business finance and may even offer venture capital in the form of an interest-free loan, but this can heap additional pressure on the business, especially if it starts to struggle and there is a risk that friends or family will lose their money. Never ask friends or family to lend more than they can afford to lose. Borrowing new business finance from a bank is another option if the barber shop has a credible business plan. Many businesses use loans to finance significant purchases, such as equipment, and overdrafts for day-to-day borrowing. 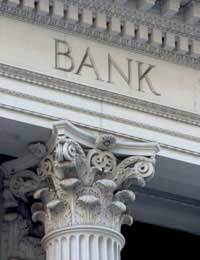 Overdrafts and bank loans are the most common sources of additional new business finance, but a bank will want to know that the barbers is a good risk and may want evidence of a successful track record in business and security for any money it lends the business – in the form of either business assets or a personal guarantee. Whatever type of new business finance is used, there may be arrangement fees as well as interest to be paid. Overdrafts are flexible and interest is only payable on the amount overdrawn, but interest rates tend to be higher and banks can ask for repayment at any time. Loans make budgeting for repayments easier and terms can match the requirements of the business, but the lack of flexibility can mean paying interest on funds that are not being used. Most businesses use a mixture of finance sources. For instance, the barbers business funding may consist of personal savings, a bank loan to purchase equipment, an overdraft for day-to-day borrowing and a family loan as a contingency fund. I have 10,000 in hand...will it be enough to set up my own barber shop?. Please i really like to know the facts. Thanks. Hi wish to open a barbershop but I don't have the funds so I am looking for funding . How do i go about this please.